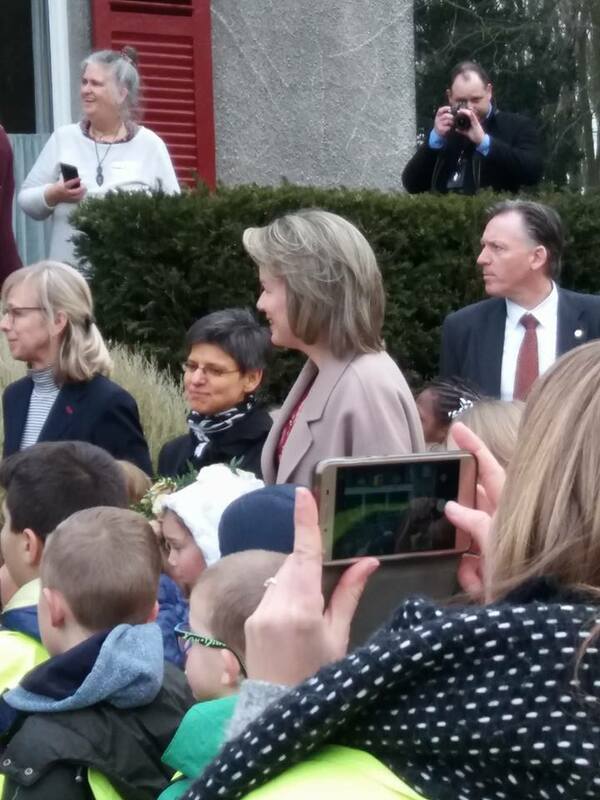 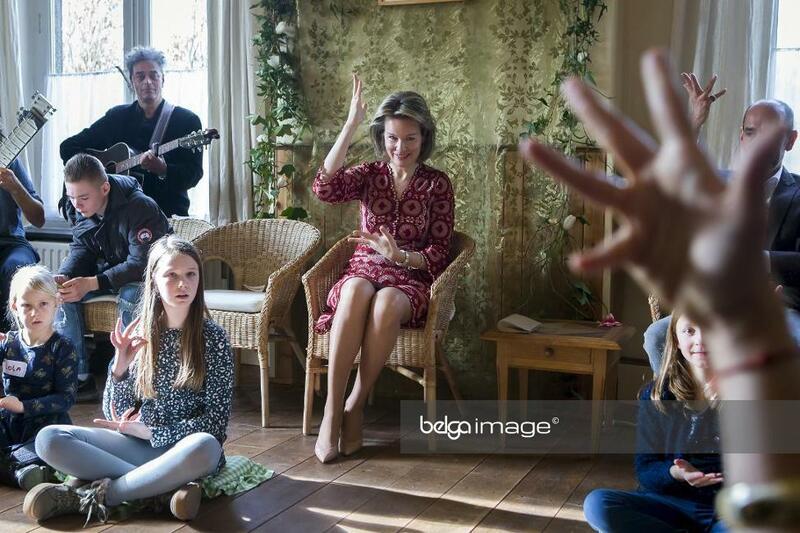 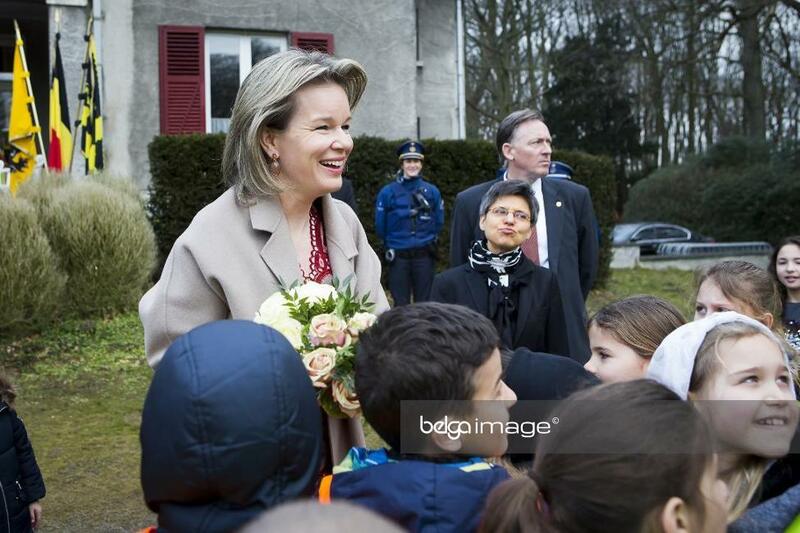 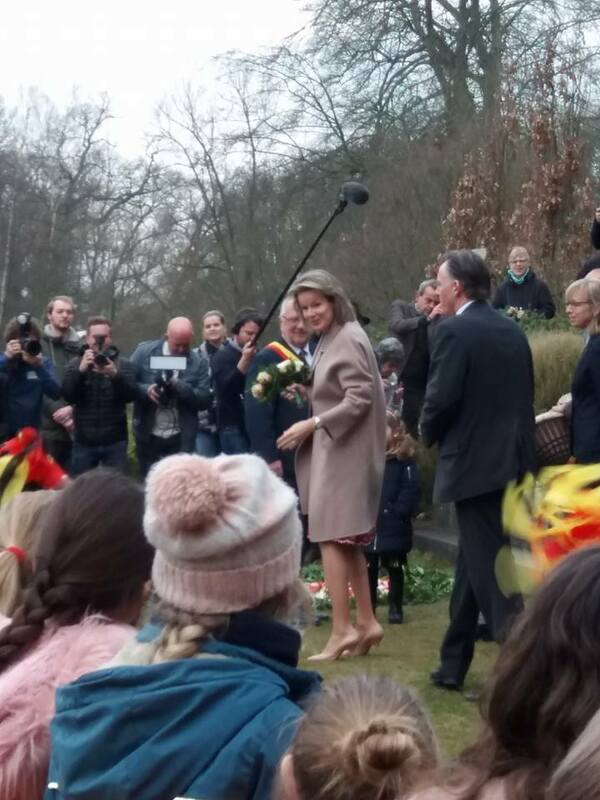 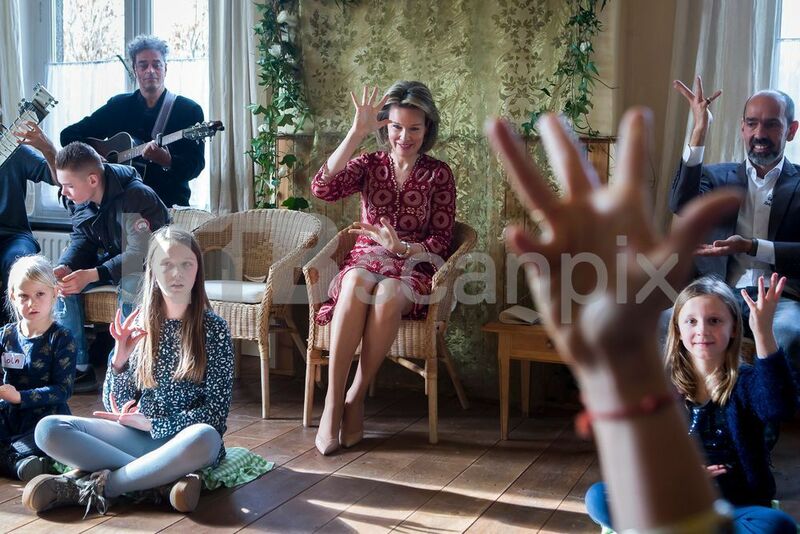 Queen Mathilde visited the WCU dance project: an inclusive music project that stimulates young people from precarious social backgrounds to sing, perform and dance. 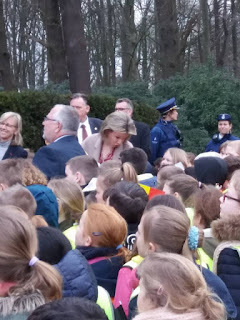 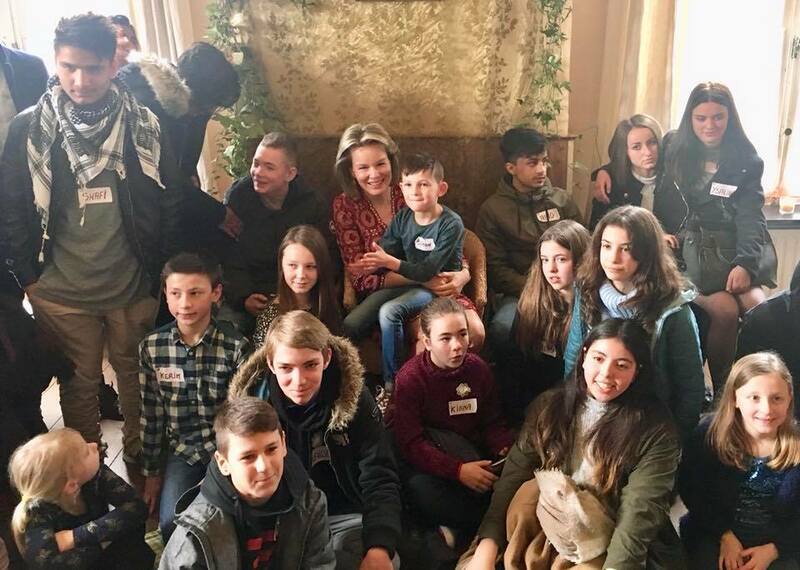 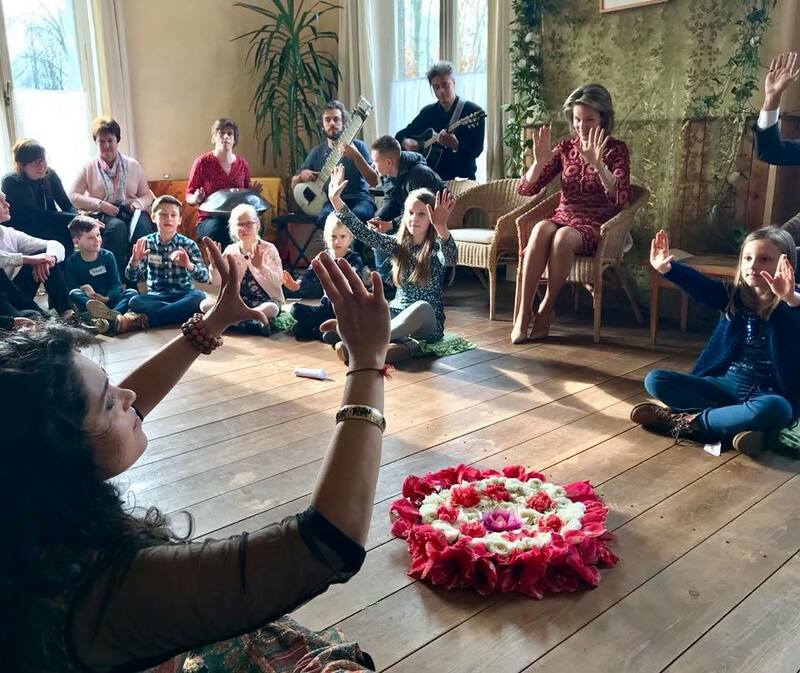 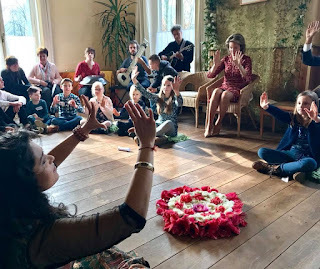 This visit took place at the municipal castle of Wijnegem and is a part of the Queen Mathilde Foundation's project call 'Music Connects'. 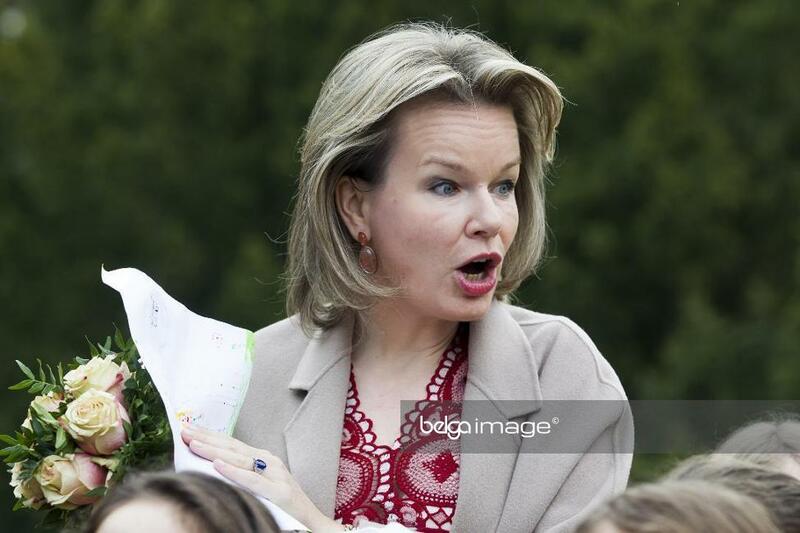 Mathilde was wearing a heart shaped pendant around her usual bracelet.